How to throw your own wine tasting and judging event. Wouldn’t you like to say assuredly whether one wine is of higher quality than another, or to recognize if a difference in price is commensurate with the difference in quality for your comfort zone, at least? This is a valuable skill, but getting there should be fun. And so, let me take you on a tour of what could be your next wine party. Grab three California Chardonnays and three California Cabernet Sauvignons. The idea is to have a group of similar white wines to judge against each other, and a group of red wines with which to do the same. Within each of these categories, choose a wine under $10, one around $20, and another around $30. Brown bag them, shuffle their order, number the bags, open and pour each guest a taste of each wine (three glasses for each guest would be ideal to judge side-by-side, but you can do each wine solo). First, make sure the wine is sound. It should have good clarity, not be murky or disturbing, visually. Give it a whiff, making sure nothing has gone awry, such as smelling of vinegar, fingernail-polish remover, cooking sherry, rotten eggs, burnt matches or cooked jam. If all is well, let the judging begin. Give each category listed below (six total, in bold) a score of 0-3—0 being Subpar, 1 being Fine, 2 being Good, and 3 being Very Good. Judge complexity: Smell the wine, swirl it in your glass and smell again, noting the aromas of fruit, floral nuances and other non-fruit, earthy and/or oaky components. Trust yourself; if you smell something, it’s probably there! If the wine just smells like wine, it is Fine; if there are a couple of interesting things happening, that is Good; and if there are numerous aromas abounding, it is probably Very Good. Hold the wine in your mouth. Is the wine in balance? Is it cloyingly sweet? Is it tart to the point of unpleasantness, or dull and unrefreshing? Is there a noticeable alcoholic burn? In a red wine, is the tannic astringency overwhelming? If a wine is in balance, none of this should be troubling. Now, the mid-palate: With the wine in your mouth, does it feel sort of expansive, seemingly growing larger and giving you quite a mouthful of deliciousness, or does it seem hollow at the center of your tongue? Is all of this integrated: smoothly interwoven, or are these components hitting you separately in a disjointed fashion? Again, judge each of these areas as Subpar, Fine, Good or Very Good. Swallow (or spit) the wine. The length is how long the above flavors last when no longer in your mouth. This is not just one component that lingers on (e.g. tartness or astringency), but all pertinent sensations in balance. And, as for finish: Are there pleasant flavors lingering? 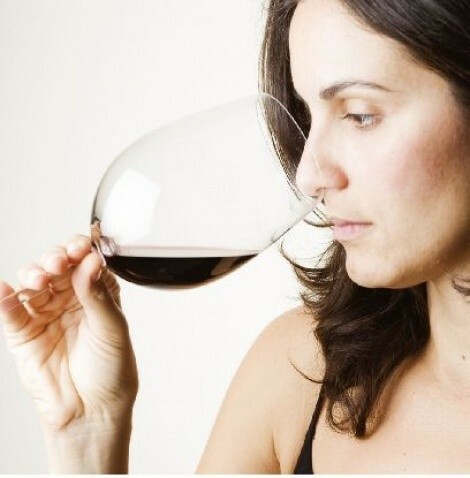 Is the complexity you found when smelling the wine coming through on the palate? Judge and rate these aspects as well. Add up the scores, with gold medals for wines between 15-18, silver medals for 10-14, and bronze medals for 5-9—and there is plenty of room for pluses and minuses to be attached. Ideally, the wines are priced correctly and higher scores will correspond to higher prices, but maybe not. Remember, you are the judge. You and your guests can evaluate the wines as a group, or individually. Hosting or attending an informal wine-tasting and wine-judging event, you can learn a great deal about objectively evaluating wine. With friends involved, it should be a fun time, as well. If not, stop the judging and just drink the wine. It’s a win-win situation. Gus Magann is a partner at Vine Lore, Inc, a Utah wine and spirits brokerage. If you enjoyed this article, please consider signing up for City Weekly's Dining Newsletter to have future dining content delivered to your e-mail inbox.